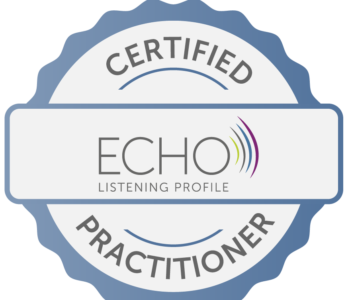 In 2018, Deb Calvert became the 15th person in the world certified to administer the ECHO Listening Assessment workshop to organizations. When teams take the assessment together, they can use each individual’s listening strengths to their advantage to ensure the entire team becomes exponentially smarter and more productive than the sum of its parts. 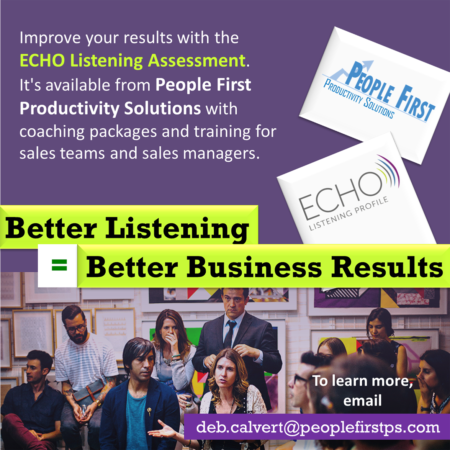 Schedule a meeting with Deb to see how the ECHO Listening Assessment can improve communication and productivity in your organization. What Is Effective Communication for Healthy Organizations (ECHO)? 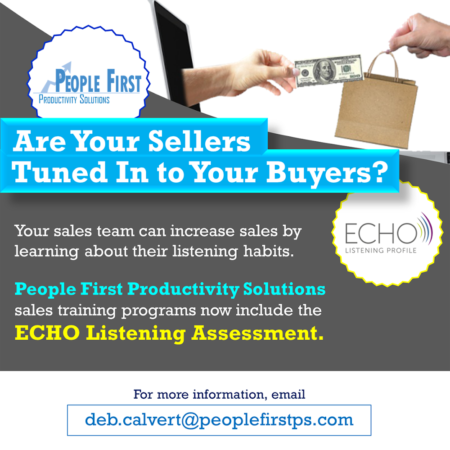 Since its development in 2008, ECHO Listening Profile has been used extensively as a hiring, management development and training tool. ECHO identifies and helps employees grow Listening Intelligence. This means your organization can develop management techniques that foster greater collaboration. The price of poor listening was recently estimated to account for annual losses as high as $37 billion in Fortune 500 companies.